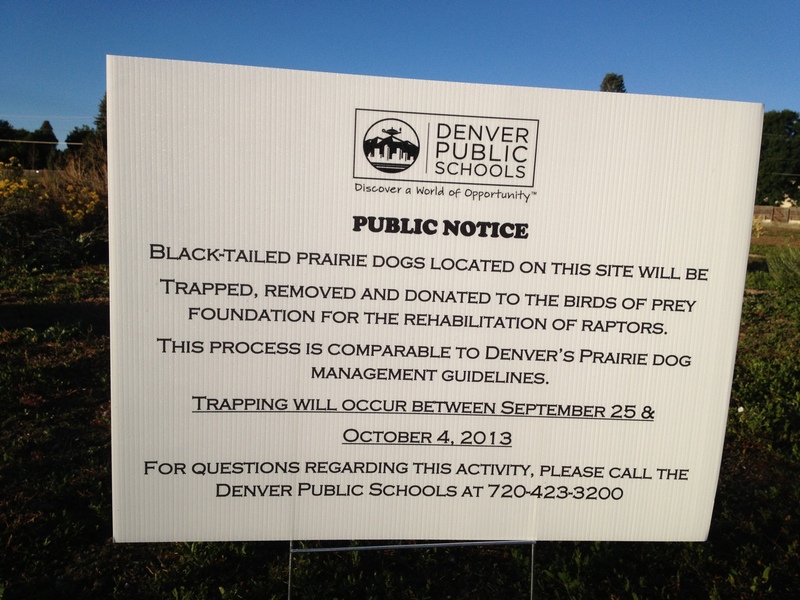 Denver Public Schools this week is posting public notice on the Hampden Heights site that black-tailed prairie dogs located on the site will be trapped, removed and donated to the Birds of Prey Foundation for the rehabilitation of raptors. This process is comparable to Denver’s prairie dog management guidelines. Trapping will occur between September 25 and October 4. For questions regarding this activity, please call Denver Public Schools at 720-423-3200. “What makes this even more concerning is that we have a vibrant raptor population on the land. To kill off their food source at the beginning of a predicted hard winter is unconscionable. 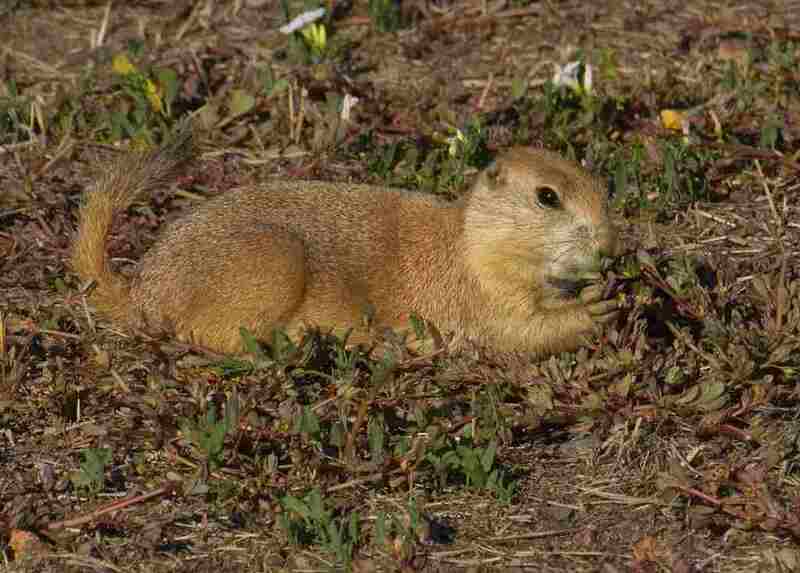 Many types of wildlife have been seen in this area and several species are dependent on the prairie dog for their survival. This entry was posted in Hentzell Park Update and tagged Black Tailed Prarie Dog, Colorado Court of Appeals, DENVER, Flood, Great Horned Owl, Hampden Heights North Park, Hentzell Park, Prairie Dog. Bookmark the permalink. Why can’t we get an injunction against developing this site? With the court case pending, that should prevent development. We applied for an injunction first thing and have been denied. We are appealing this decision. Our court case is scheduled for May 19,2014. Although they are getting their punches at us, in the end we will win. Please realize that we will need everyone’s help to get this court case through. We are having a fund raiser on Oct 26, 2013 to help raise funds for our effort. Please consider helping us find folks will to support our cause and get tickets for this event.